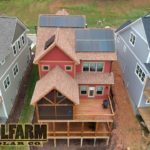 February 2018 | SolFarm Solar Co.
Something new is giving solar a hand, and solar is returning the favor. Solar shepherds are leading in a useful flock. 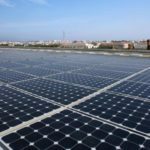 One of the solar industry’s biggest cost is landscaping around solar farms. Tall vegetation might impede energy production if it shades the panels, but the panels are placed to maximize energy production, not fit a lawnmower. One rock lobbed from a lawnmower blade, and a panel is ruined. Most of the work is done with weed eaters. All around, it is just a hassle. The Smithsonian reported on a technique beyond your average weedeating. Sheep are creating innovation. Small enough to fit between the solar panels, gentle enough not to break anything, and hungry enough to eat the grass, they are the perfect lawn care service for solar farms. Rotating herds of grazing sheep from solar farm to solar farm allows the panels to produce energy unhindered and safe from debris slung by a mower. Solar shepherds own the sheep and rotate them around different solar farms. 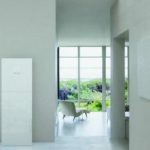 It is making a splash in the solar world. 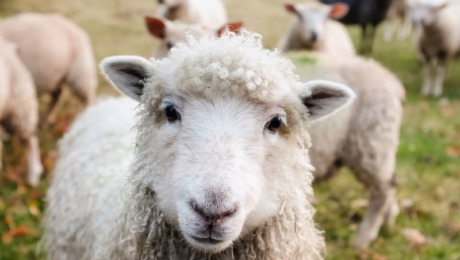 Several states already take advantage of sheep (and support local agricultural business). 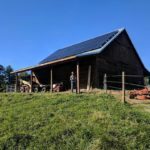 Individuals lucky enough to own land and sheep can lease their land to a utility or large company looking to go green, like Apple or Ikea, and have their herd make sure the land stays ideal for solar. A savvy rancher in Hawaii was able to work that deal. Even if people do not want to lease land, there are ways to utilize their sheep. North Carolina is home to Sun Raised Farms, a solar farms maintenance contractor. Sun Raised Farms uses the herds of local farmers. In a time of struggle for small farms, the opportunity to make income from more than one source is vital. 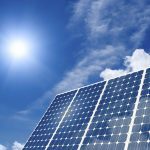 Solar growing in North Carolina helps other industries too. Hopefully, solar and agriculture have a long profitable symbiosis.